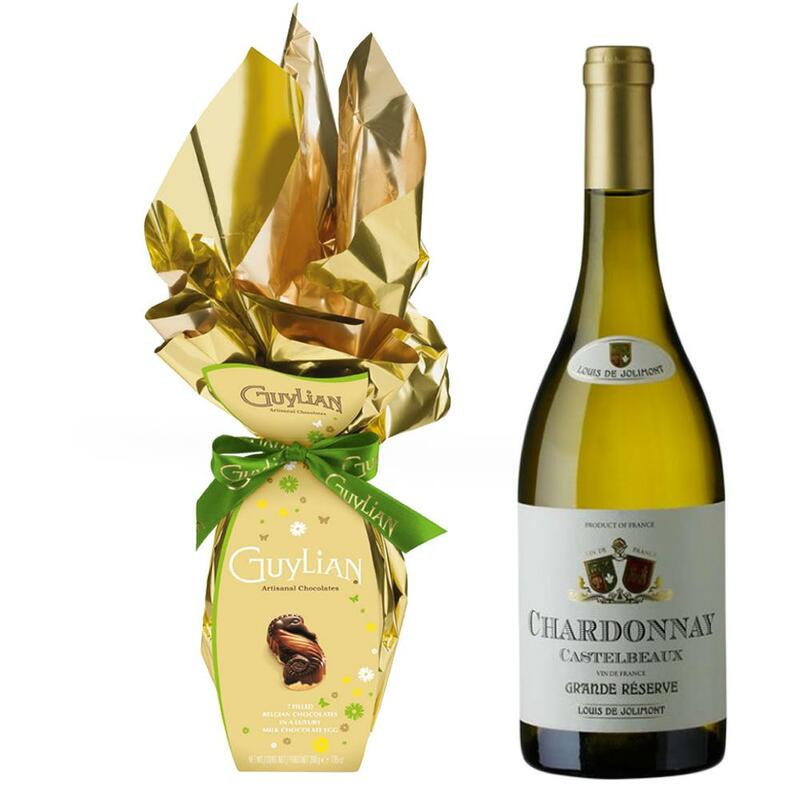 Buy this set with a full bottle of Easter Castelbeaux Chardonnay and it comes with a lovely Guylian Flame Egg with 6 chocolate Sea Horses 200g. Castelbeaux Chardonnay, Typical nose from Chardonnay with citrus notes, butter and hazelnuts. In mouth the wine is fat, round and fresh. Well-balanced with a smooth acidity and a good structure. Pair with pasta carbonara, fish and sea shell.